Michelle fundraises for her branch and sick kids with every step she takes! 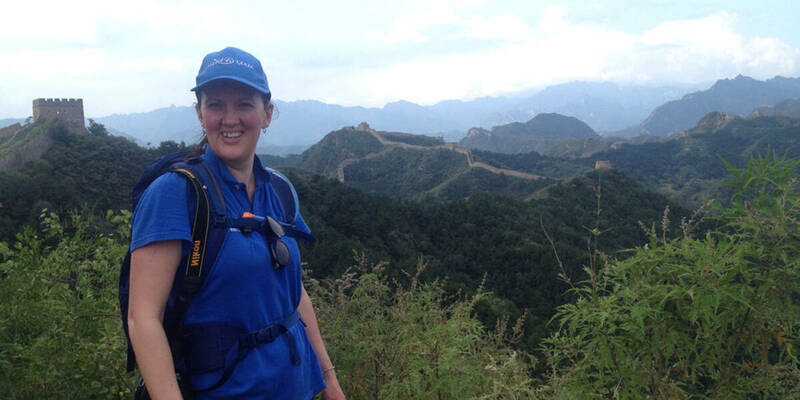 Michelle joined our Bayside Branch in 2014, and while she enjoys fun runs and gala balls, some of her most memorable experiences have seen her hike along the Great Wall of China and the Kokoda Trail, all in the name of a good cause! A champion multitasker, Michelle is also married with two children and works full-time in her corporate career. Being part of our #WishForce is just one of the many hats Michelle wears, but one that has a huge impact on kids around Australia with life-threatening illnesses. Find out more about Michelle below. I am married with two daughters - actually, my eldest is in the process of becoming a Make-A-Wish volunteer herself! As part of my fundraising role with Make-A-Wish, I've experienced the wonders of the Great Wall of China and recently conquered my latest challenge of the Kokoda track. This was with a group of amazing, motivated people, all fundraising to support fantastic charities like Make-A-Wish. Why did you choose Make-A-Wish? When I first joined Make-A-Wish, I was looking for a charity that I had no previous connection to (ie. friends, family or past experience), and one that supported sick children as I am lucky to have two gorgeous, healthy girls of my own. What have you loved best as part of the #WishForce? I’ve been fortunate to work with members of both the Bayside and Melbourne volunteer branches in organising an annual Gala Ball, which has turned into one of my favourite fundraising events. Although it's a lot of hard work, the teamwork is incredible and we all felt extremely proud of our achievements. The variety of ways we can fundraise and the opportunity to work with the community in supporting a worthy cause is part of what makes fundraising for Make-A-Wish so appealing. Any advice for other volunteers? When it comes to fundraising, think outside the square and start small - sometimes the simplest ideas are the most profitable! Make-A-Wish is an important part of my life - it's given me the opportunity to work with a great bunch of people. It's really rewarding, especially when we host events in our local community and promote the power of wishes. What keeps me volunteering? Meeting wonderful wish kids and their amazing families and seeing the difference that we make in their lives. I also made connections with people from a wide range of roles, and it’s really helped me discover what I’d like to do in the future.